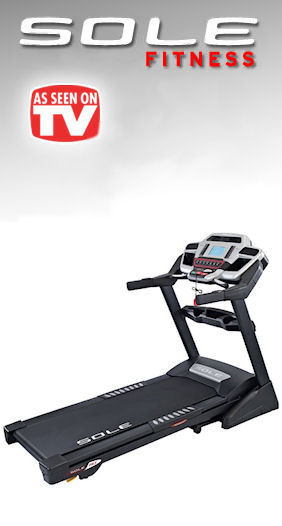 Sole Fitness has earned the reputation of building quality treadmills using the best components, and the F63 holds true to this even at a very economical price. The strong 3.0 HP motor delivers challenging speeds up to 12 mph and inclines up to 15%. And when not in use, the treadmill deck safely locks into place, 100% secured. 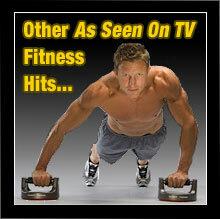 Run up to six preset programs including cardio training and fat burning specific programs. Safety features include a large stop switch, starts from only 1.0 mph and low-profile running hood. A great value. Additional features include cooling fans and speed and incline controls on the arm rests. The F63’s console is user friendly with a vibrant blue display. The information that is displayed at all times includes Speed, Incline, Time, Distance Traveled, Calories, Pulse and Pace. There is also a 1/4 mile track feature and a Peak and Valley graph for different programs. The console also has built in speakers which allow you to hook up any MP3 player (iPod, etc.) for easy listening. Folding Deck Design with Easy Assist – Sole Fitness Fitness is proud to offer what is arguably the best folding treadmill design on the market. The F63’s design features a patented all gear rack & pinion system with the Safety Lock Deck design that locks the deck into place when the treadmill is in the upright position. The F63 also comes with the Easy Assist Folding Deck Design, a unique feature which allows you to release the deck, step back and watch the deck unfold itself effortlessly. The Easy Assist Folding deck design is unique to Sole Fitness and makes unfolding your treadmill exceptionally easy. Large Light Commercial Display Screen – The Sole Fitness LCD console display makes work outs easier and more effective. A vibrant blue screen with large clean readouts provide users with helpful information, such as Heart Rate, Speed, Pace, Calories burned and other useful information. High Torque Motors with Flywheels – All Sole Fitness treadmills feature the heaviest duty chassis and motors in their class. Beginning with powder coated all-steel welded frames and heavy duty stable inclines, Sole Fitness adds industrial quality motors with large diameter, all-steel zinc coated balanced flywheels for a vibration-free secure running/walking surface. Why do Sole Fitness add a flywheel to their motors? Flywheels cause the motor to run cooler with less amp draw and extend the life off the motor. They also allow their treadmills to offer a start speed of .5mph of 1mph. Sole Fitness also uses much heavier flywheels than its competitors which give you the fluid motion you’re accustomed to from commercial gym treadmills costing thousands more. Rollers – When Sole Fitness chose the rollers for their treadmill line they went with only the best and outfitted all of their treadmills with the same high-end rollers that most companies only offer on $5000+ treadmills. The F63 uses 2.5″ rollers with a sealed bearing design and copper ground wires for each roller to reduce static. Larger rollers make for a larger contact surface against the belt and longer roller and belt life. This makes for smooth, quiet, static free motion that will stand the test of time. The Sole Fitness F63 treadmill is designed to help you get you in shape fast while also being very friendly to your budget. Sole Fitness treadmills are an excellent choice if you’re looking for an affordable commercial-grade fitness solution. If you’re serious about getting into better shape and staying that way Sole Fitness offers the affordable solution you’ve been looking for. What are you waiting for? 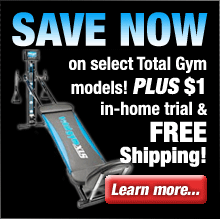 Order a Sole Fitness F63 treadmill and get ready to watch those extra pounds melt away!